If you'd like to make your own cocktails, any of these books will help you along. 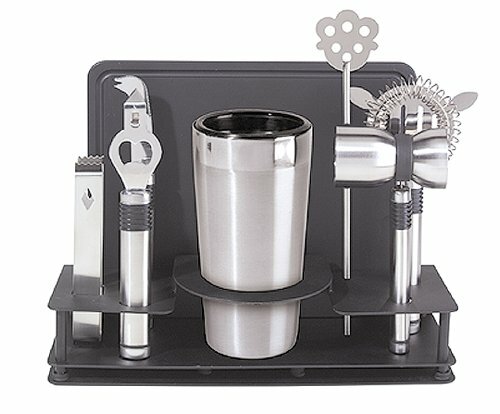 If you want to make your own cocktails and liqueurs, you'll need a handy cocktail bar set! Credit: FreeDigitalPhotos.netMany people might ask why anyone would want to know how to make Baileys, as it is a very popular brand of Irish Cream that you could just buy almost anywhere. Most people wouldn’t even know that it is a liqueur that can be replicated very well at home. However, once you make your first batch, it is very likely that you won’t go back to buying it. You’ll see how easy it is to do and how versatile the recipe can be. Irish cream is a delicious creamy liqueur made of Irish whiskey and cream, with a few other ingredients like chocolate and coffee added for flavor. It’s one of those guilty pleasure drinks that most people would never order at a bar, but would go down very well at a holiday party. It can be drunk on its own, mixed with other drinks or used as part of a dessert. The most popular brand of Irish whiskey is Baileys, but there are a few others that are also very good. There are a few reasons why you should consider making your own Baileys Irish Cream. Firstly, have you ever thought about how a bottle of commercial Irish cream can keep for two years without refrigeration? The drink even stays smooth and silky throughout. Sure, the alcohol in it does its bit, but not for that long. Commercial Irish creams have other ingredients added to preserve them. If you make your own Baileys at home, you may not get perfection like the commercial ones, but you’ll get a fresher taste and you know that every ingredient is natural. You also won’t be able to store it that long and it will need refrigeration, but finishing it up before it goes bad shouldn’t be too difficult! Currently, a one litre bottle of Baileys costs about $30, with some of the other brands being slightly cheaper. If you make Irish cream at home it will be considerably cheaper, especially if you tend to consume it fast and want more! The ingredients that go into making it don’t have to be the most expensive ones available, so putting them all together will save you quite a bit. No one knows what the exact ingredients of Baileys are. You can use a recipe that will give you a drink that comes closest to the Baileys Original Irish Cream, but it is very versatile if you want to change a few ingredients or quantities. Don’t want caffeine in it? Omit the coffee. Want it richer? Use eggs. In fact, Baileys also makes four other flavors – mint chocolate, crème caramel, coffee and hazelnut, so you can experiment with your base recipe and add some additional flavors of your own. When the holidays near, sales of Baileys and other Irish creams increase. It is a perfect alcoholic drink for the festive season and is a serious competitor to eggnog. The Christmas season is also gift giving time, and most people struggle with ideas for gifts while keeping costs down. Most homemade gifts are appreciated, and homemade Baileys is no different. The recipe can be scaled up and the drink can be bottled and prettied up with a ribbon and maybe an attached recipe card. This DIY gift couldn’t be simpler! So, without further ado, here is an easy recipe for homemade Irish cream. The only equipment you’ll need is a blender. Feel free to experiment with quantities and ingredients. Add all the ingredients into a blender and process for 30 seconds or more until it is as smooth as you can get it. You may want to start with a smaller quantity of some of these ingredients and taste before adding more. Since there’s no cooking involved, it’s very easy to get the drink just right. Depending on the flavour and consistency that you prefer, you can make a few substitutions to this base recipe. If you want to make the drink less fattening, you can substitute the heavy cream for light cream. This will make the drink less rich than the commercial drinks. If you find that your concoction isn’t rich enough, substitute some of the cream for an egg or two. Make sure that they are the freshest possible. Using melted chocolate instead of chocolate syrup will eliminate the high fructose corn syrup, but will take longer to emulsify in the blender. You can omit the almond extract if you want. Finally, while an authentic Irish cream calls for Irish whiskey, you can use a cheaper kind of whiskey, like bourbon. With all the other ingredients doing their bit, you won’t find much of a difference in taste and you can save even more money making your own Baileys. What Is the Shelf Life of Baileys Irish Cream and How Do You Store It? 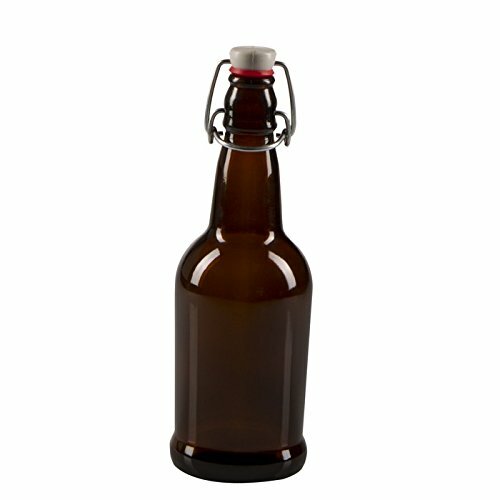 Once the drink is ready, just bottle and refrigerate it. It will keep for two months in the fridge. Shake it well before you pour out a drink. To store the Baileys, you can use any old glass bottle that has been washed, sterilized and completely dried. I like to use bottles with a flip top stopper, like the Grolsch bottles, since the stoppers will work for multiple uses. A pack of empty bottles is quite cheap to buy if you want to gift your drink to many people. Once you know how to make Baileys, you may be tempted to do more with it than just drink it straight. In addition to it being an essential ingredient in Irish coffee, Greek Frappe, cocktails like White Russian, and shooters like B52, you can also use it in desserts. Use it as a topping with ice cream or cake, or as a flavoring ingredient in many others. Extend the fun by learning how to make Triple Sec Orange Liqueur! I love it too and much prefer it to eggnog. Will be making a large batch for Christmas this year. Thanks for reading! I love this stuff at Christmas! Then do try making this. I already have my bottles lined up to fill for this Christmas. Thanks for reading!